Gymnocalycium mihanovichii is a cactus commonly known as Moon Cactus. 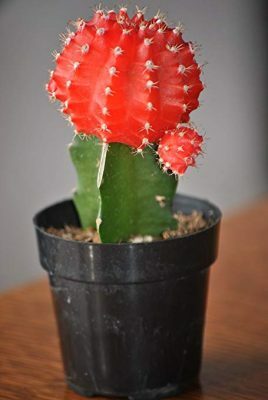 This is a “mutant” species that comes from South Africa, natural habitat for over 80 varieties of this cactus. Moon Cactus is usually a combination of two cacti. A most common combination is a Gymnocalycium (the sicon) and a rootstock cactus, such as Hylocereus. Gymnocalycium is a large group of mutants with more or less red colored bodies. They can also be found in orange, yellow, purple or white. The color comes from the fact that they have a very low chlorophyll or none at all. That’s what makes them unique. Since chlorophyll is a key for photosynthesis, these mutations need to be grafted on other cactus with a normal level of chlorophyll in order to survive. The stem is globose, flattened or elongated, comes in specter from yellow to dark brown. It can grow up to 4 inches (10 cm) tall and up to 5 inches (12.5 cm) in diameter and its often branching from the sides. Moon Cactus can have 8 to 14 ribs and sharp banded whit strong dark brown markings especially when it’s young. It also has up to 0.4 inches (1 cm) long spines that can be somewhat twisted and not so sharp. Moon Cactus bloom with pale-pink to purplish-pink3 inches (7.5 cm) long flowers. Moon Cactus have standard water needs. Therefore it’s great for beginners, as it can survive some neglect. You need to water it during the summer months, where the plant is in its growing period. You can do it weekly, as long as you make sure the soil is almost completely dry before you come in with more water. Like for most of the succulents, you should avoid heavy watering during winter and just give it a few drops from time to time. 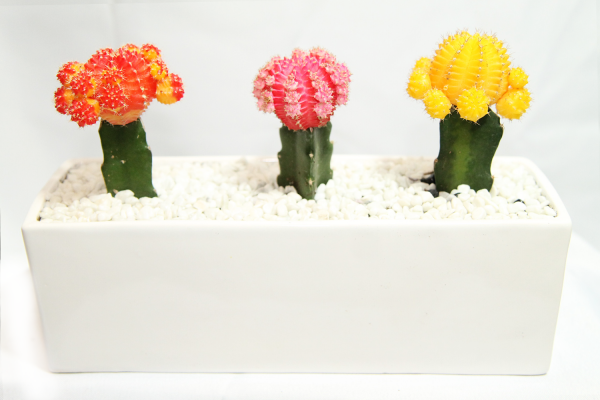 When it comes to light and temperature, Moon Cactus is great for growing indoors. You just place it somewhere with some sun and filtered light. If you’re growing this cactus outdoors, you should plant it in a container that can be brought inside if temperatures get too low. Moon Cactus can take down to 30° F (-1.1° C). The safest spot for this cactus in your garden is somewhere with partial sun and shade. Most of the time, Moon Cactus can`t produce seeds, because of the lack of chlorophyll. Those that can you can propagate from the offsets. 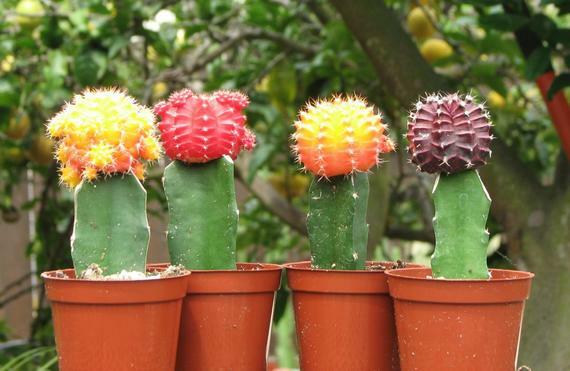 Otherway, you can extend the life of your Moon Cactus by grafting it onto new rootstock. 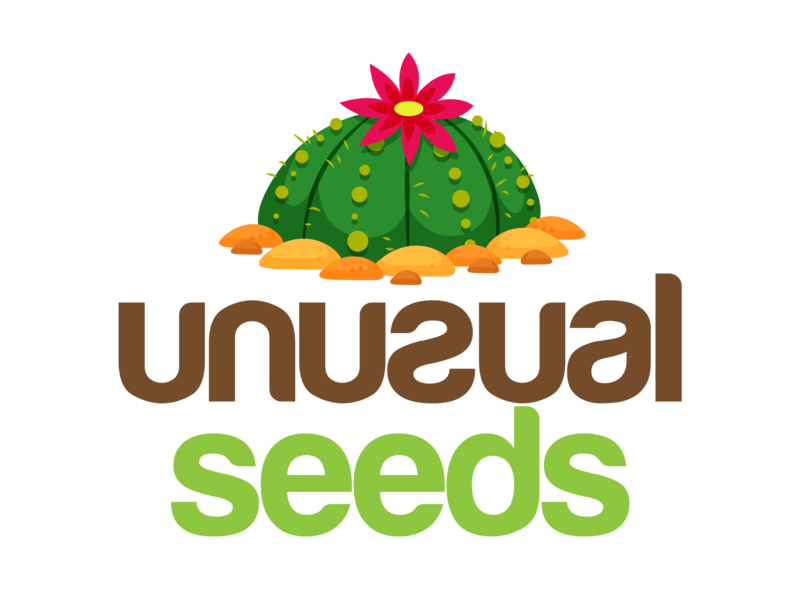 If your Moon Cactus produces offsets, you can find them sprouting off of the top of the plant. Just remove them carefully and let them dry for a day or two before placing them in well-draining soil. This entry was posted in Cacti, Care tips, How to sow. Bookmark the permalink.